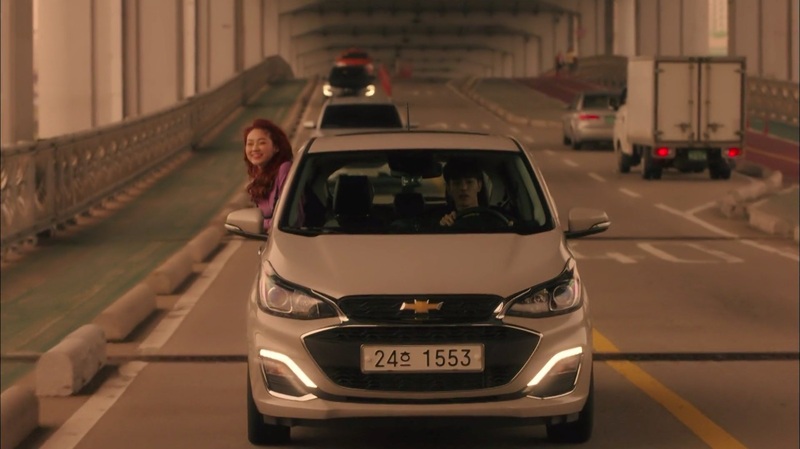 Eom Gyeong-sul (Yoo Jung-woo) drives Jeom Soon (Kang Mi-na of Gugudan) across this part of the bridge in episode 10 of Mama Fairy and the Woodcutter/Gyeryong Fairy Tale/Tale of Fairy (계룡선녀전) (tvN, 2018), much to her joy and excitement. 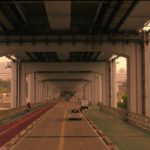 Parts of one of Joo Gi-Bbeum’s (Song Ha-Yoon) MVs that she filmed when she was still famous that Gong Ma-Sung (Choi Jin-Hyuk) watches in episode 4 of Devilish Joy (마성의 기쁨) (MBN/Dramax, 2018) was filmed here. 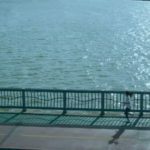 An alternate universe Seo Woo-jin (Han Ji-min) goes for a run here in episode 2 of Familiar Wife (아는 와이프) (tvN, 2018) — at the very same time that Cha Joo-hyuk (Ji Sung) discovers that he’s now married to his first love, Lee Hye-won (Kang Ha-na). 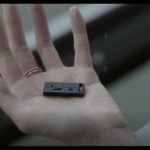 In the pouring rain, Eun Chae-ah (Hwang Seung-un) comes here in episode 4 of Time (시간) (MBC, 2018) to get rid of the only evidence of her being at the ‘crime scene’. 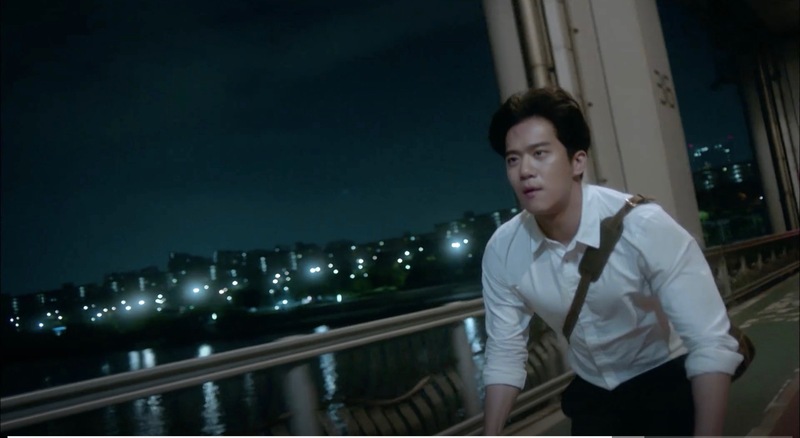 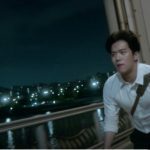 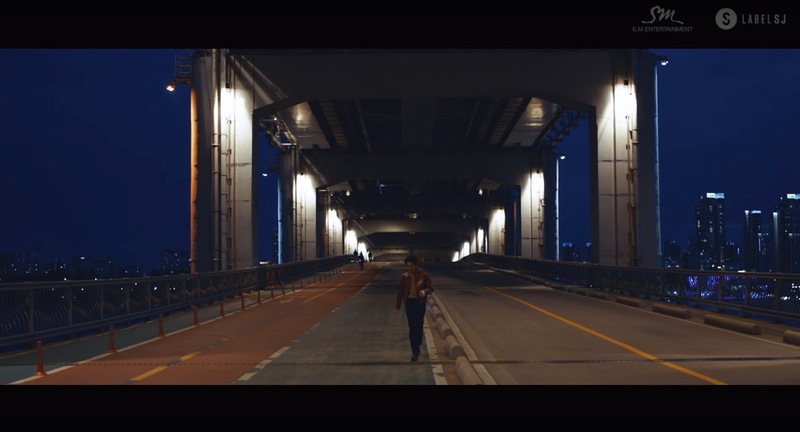 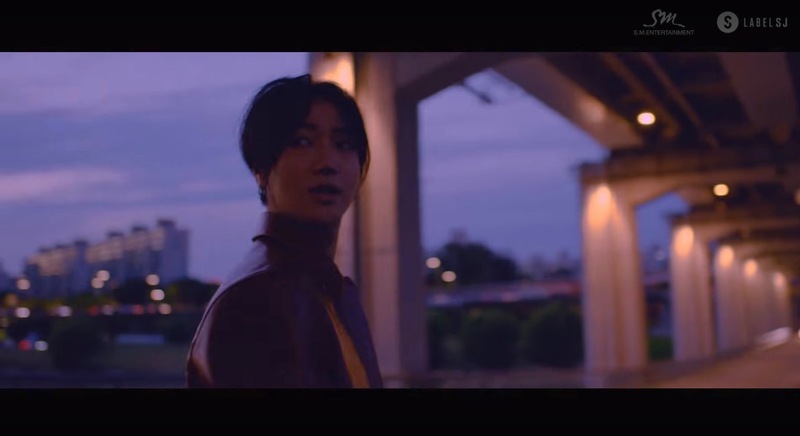 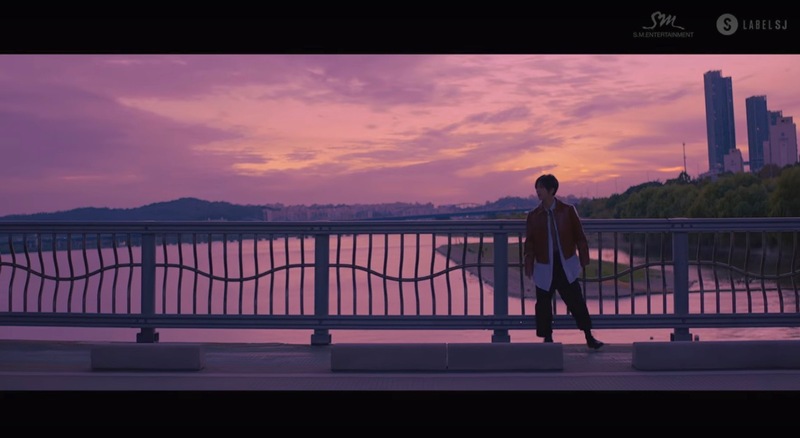 Kim Ji-Woon (Ha Seok-jin) rides over this bridge on his way home from work with his bike in episodes 1 and 26 of Your House Helper (당신의 하우스헬퍼) (KBS2, 2018). 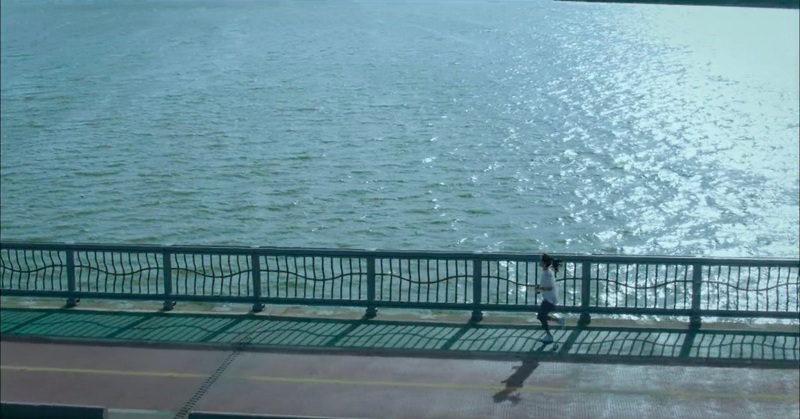 Kim Joon-ah (Kim Gyu-ri) goes jogging here late at night in episode 9 of About Time (멈추고 싶은 순간: 어바웃타임) (tvN, 2018) and calls Jo Jae-yoo (Kim Dong-joon) to pick her up and they have a talk on the foot of this bridge afterwards. 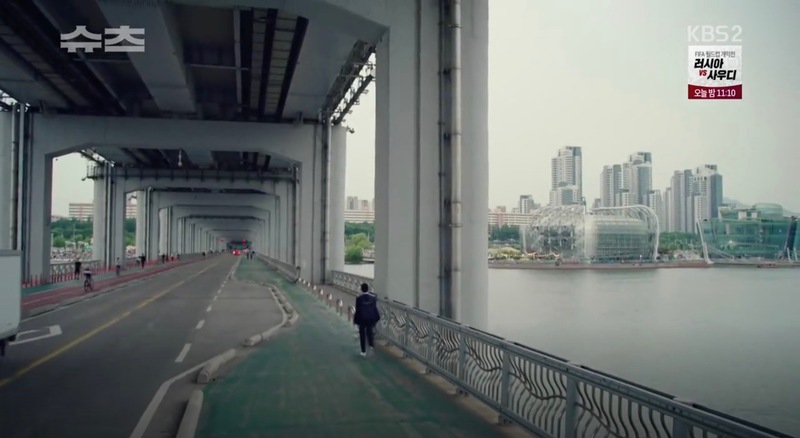 Go Yeon-woo (Park Hyung-sik) crosses this bridge with a suitcase in one hand and a joker playing card in the other after having just met Choi Kang-seok (Jang Dong-hun) who told him to get rid of the object in episode 1 of Suits (슈츠) (KBS2, 2018). 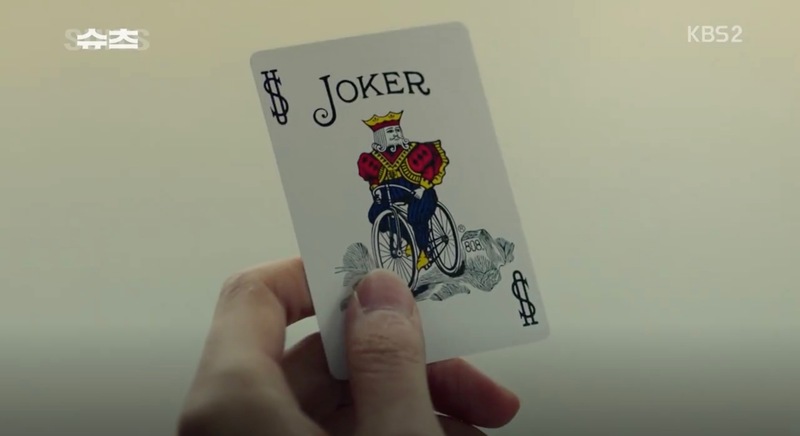 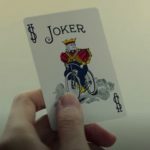 He is back here in final episode 16 and throws the joker card into the Han River. 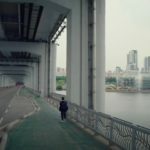 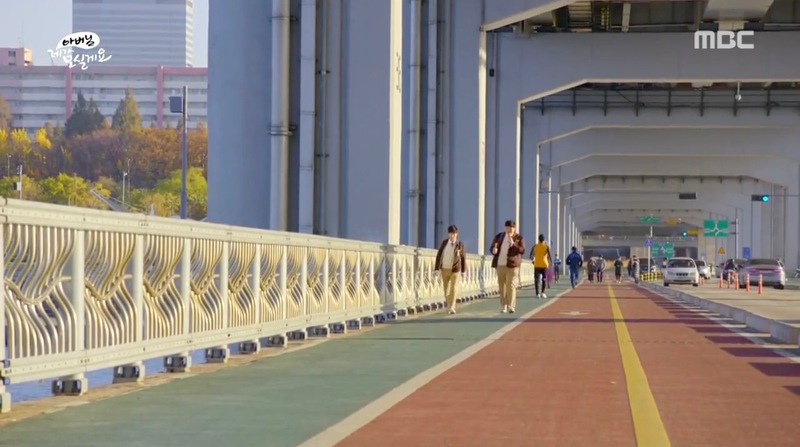 A lost Song Hyun-Cheol Ah (Kim Myung-min) walks on the lower half of this bridge in episode 2 of The Miracle We Met (우리가 만난 기적) (KBS2, 2018). 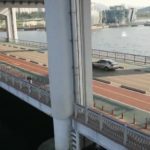 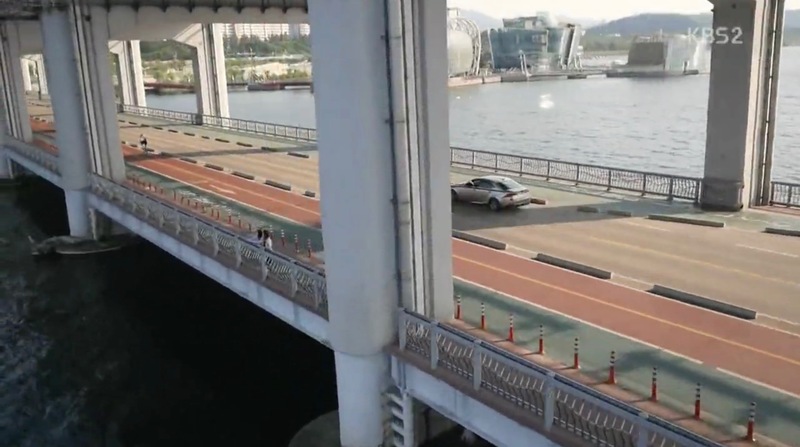 Oh Jin-kyu (Kim Seon-ho) drives over this bridge and keeps repeating “I am a moron!,” something his father told him just before at the family dinner in episode 1 of Strongest Deliveryman (최강 배달꾼) (KBS2, 2017). 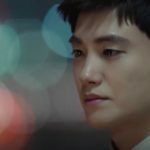 The bus Kang Han-gyeol (Lee Hyun-woo) and Yoon So-rim (Joy) take in episode 7 of The Liar and His Lover/Lovely Love Lie/She Loves Lie So Much (그녀는 거짓말을 너무 사랑해) (tvN, 2017) drives over this bridge and we see its Rainbow Fountain which is not colored at daytime. 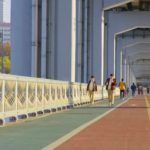 In episode 7 of Father I’ll Take Care of You ( 아버님 제가 모실게요) (MBC, 2016-17), Ga-won’s (Bang Mi-joo) son tells his school friend on this bridge that he wants to die. 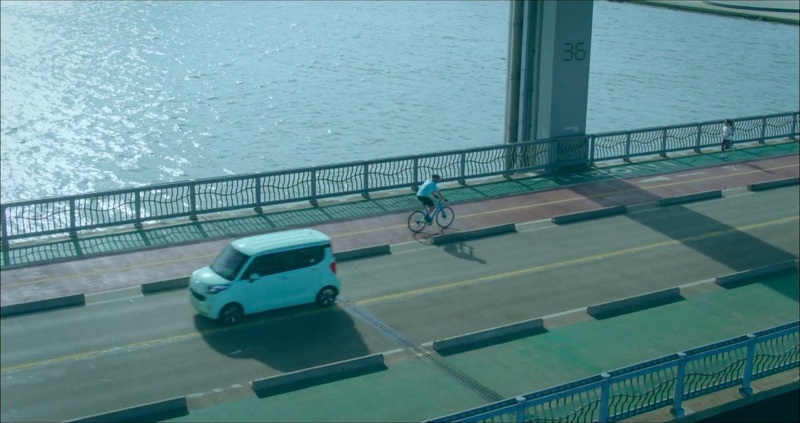 Seo Do-woo (Lee Sang-yoon) goes here in episode 1 of On the Way to the Airport (공항 가는 길) (KBS2, 2016) late in the evening to show the Han River to his daughter Annie who goes to school in Malaysia. 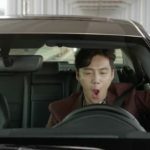 Kim Moo-young (Seo In-guk) meets up here with Baek Seung-a (Seo Eun-su) in episode 3 of Hundred Million Stars from the Sky / The Smile Has Left Your Eyes (하늘에서 내리는 일억개의 별) (tvN, 2018) who just thought about Jang Woo-Sang’s (Do Sang-woo) marriage proposal. 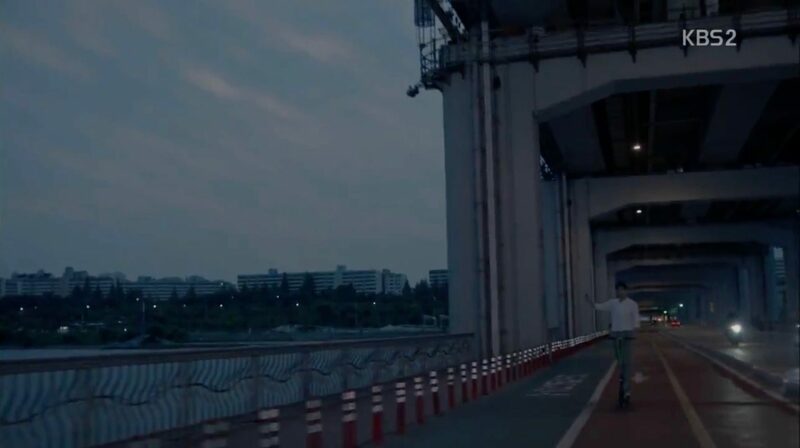 Joo Yeol-mae (Jung Yu-mi) and Shin Ji-hoon (Kim Ji-suk) have a heart to heart talk at the foot of Banpo Bridge about their relationship in episode 12 of I Need Romance 2 (로맨스가 필요해 2) (tvN, 2012). 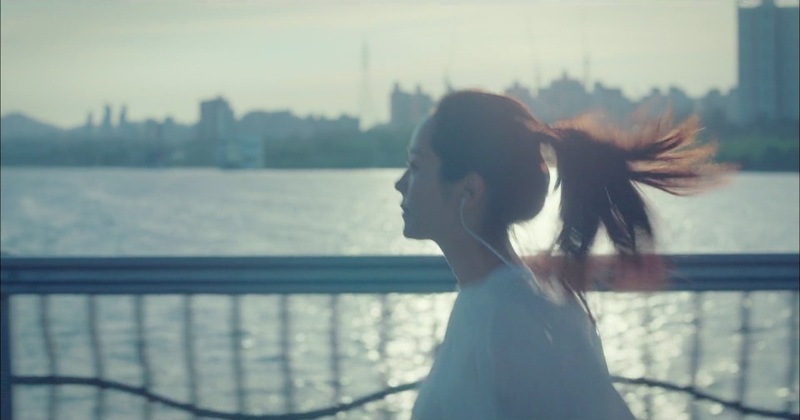 But when it comes to Yoon Seok-hyun (Lee Jin-wook), Yeol-Mae can’t keep her cool. 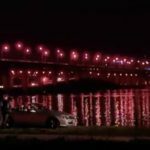 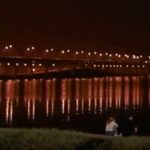 In episode 23 of Boys Over Flowers/Boys Before Flowers (꽃보다 남자) (KBS2, 2009), Jan-di (Ku Hye-sun) and Ji-hoo (Kim Hyun-joong) took a night stroll along the river. 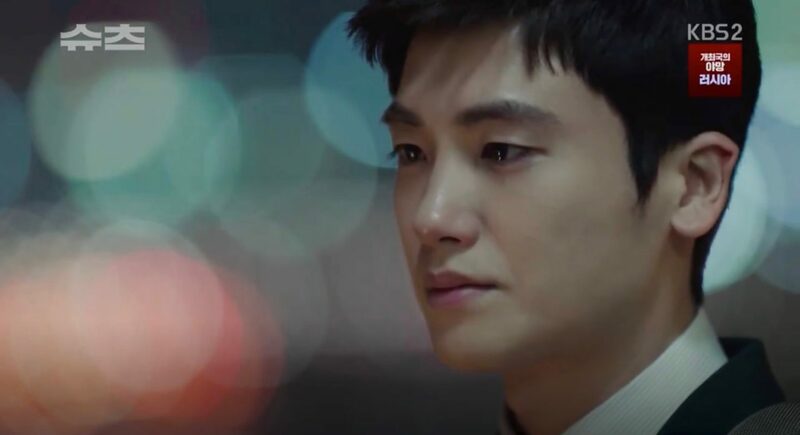 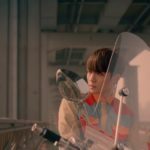 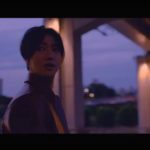 Ji-hoo admitted to Jan-di that he hadn’t ever wanted to protect anything before meeting her and that now, there are more things in his life he wants to protect, such as his grandfather, the foundation, and her. 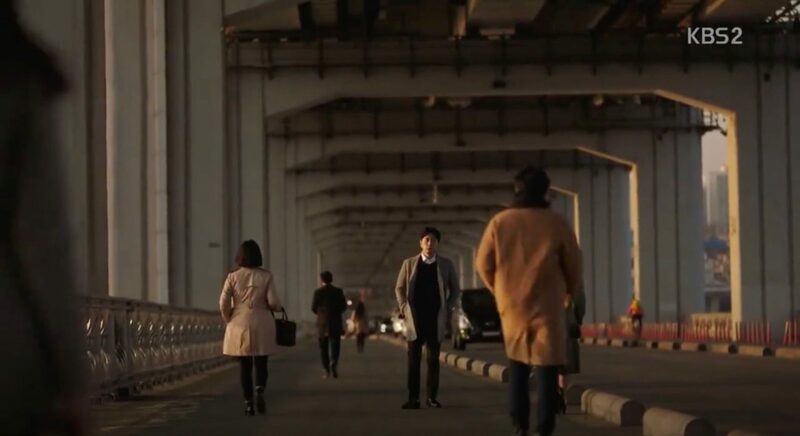 Lee Sun-Jae (Ryu Si-Won) and Kim Se-Na (Lee Jung-Hyun) come here in episode 10 of Beautiful Days (아름다운 날들) (SBS, 2001)when she is frustrated about not having gotten the record deal. 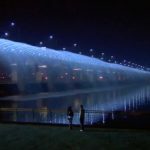 They are back here for a drink over their fear over Kim Yun-Soo’s (Choi Ji-Woo) life in final episode 24. 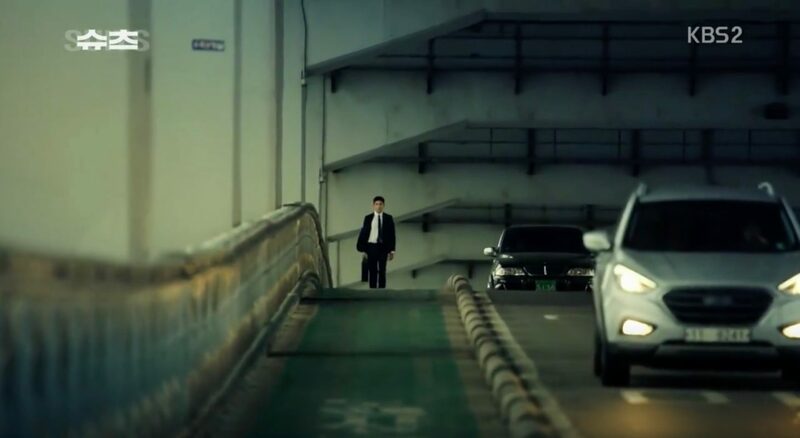 In episode 13, it is Lee Min-chul (Lee Byung-hun) and Kim Yun-soo (Choi Ji-woo) that come here. 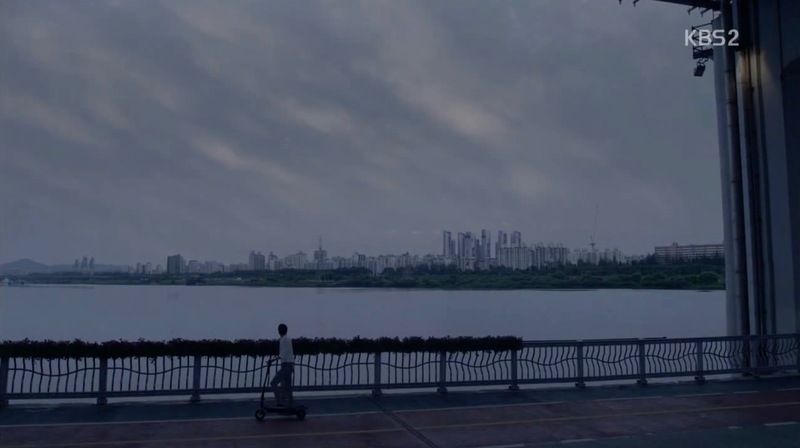 Also seen in It’s Okay, Daddy’s Girl (괜찮아, 아빠딸) (SBS, 2010-11); IRIS (아이리스) (KBS2, 2009). 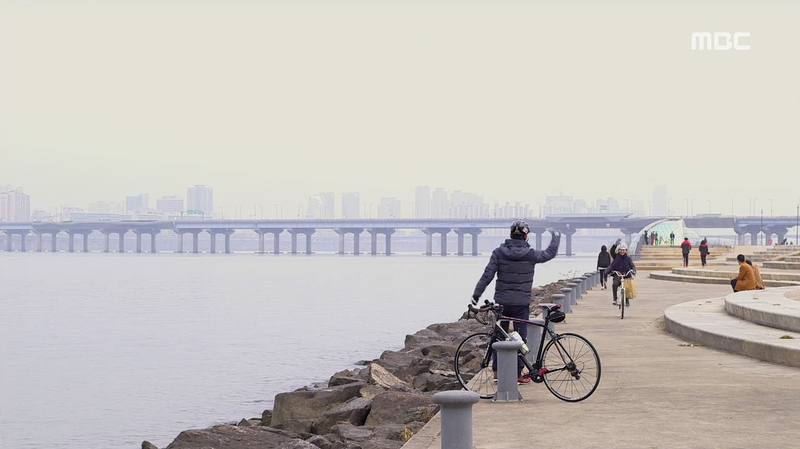 — Some scenes from Red Velvet’s Joy and Im Seul-ong’s music video for their 2016 SM Station, ‘Always In My Heart (이별을 배웠어)’ were filmed here. 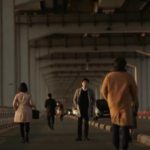 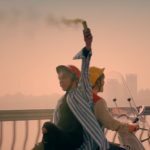 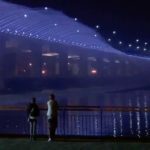 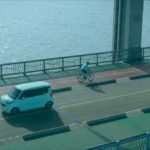 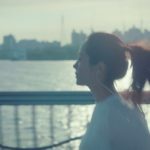 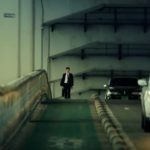 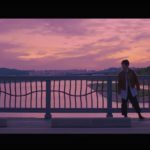 BTS’ Life in Seoul TVC (2017) for the Seoul Tourism Organisation was filmed here. 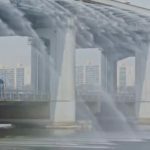 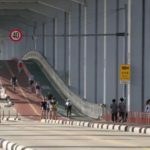 Banpo Bridge [반포대교], the upper half of a double deck bridge, is one of the major bridges in central Seoul that crosses the Han River. 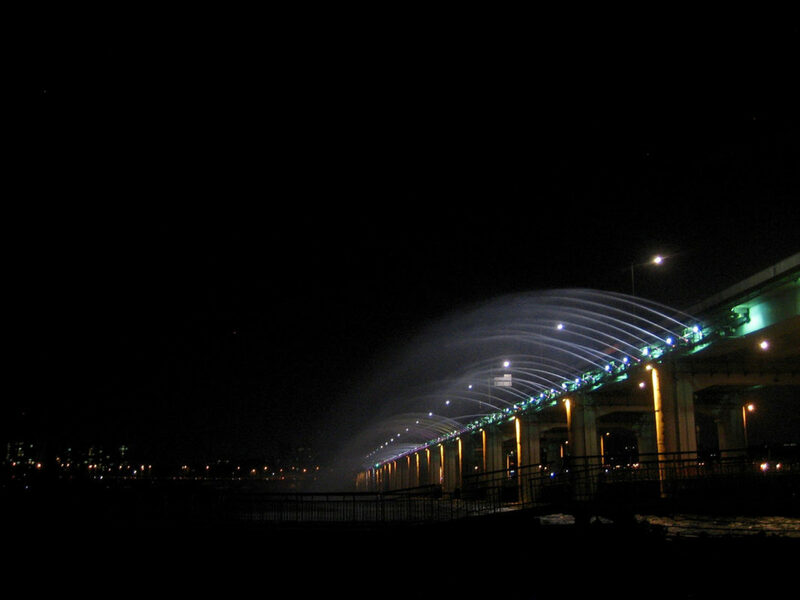 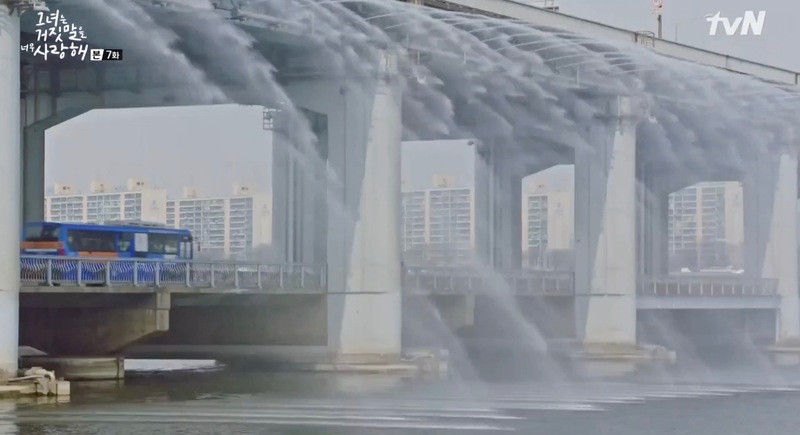 It is mostly known for its Rainbow Fountain [달빛무지개 분수], the largest bridge fountain in the world. 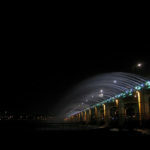 200 light spots color the fountain after sunset. 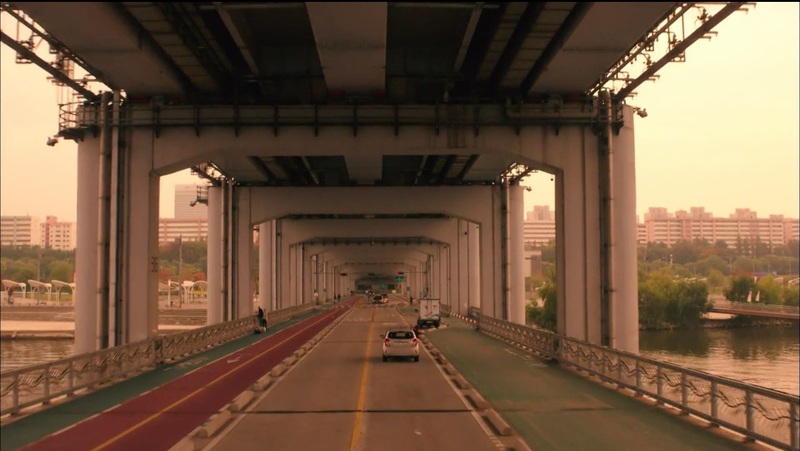 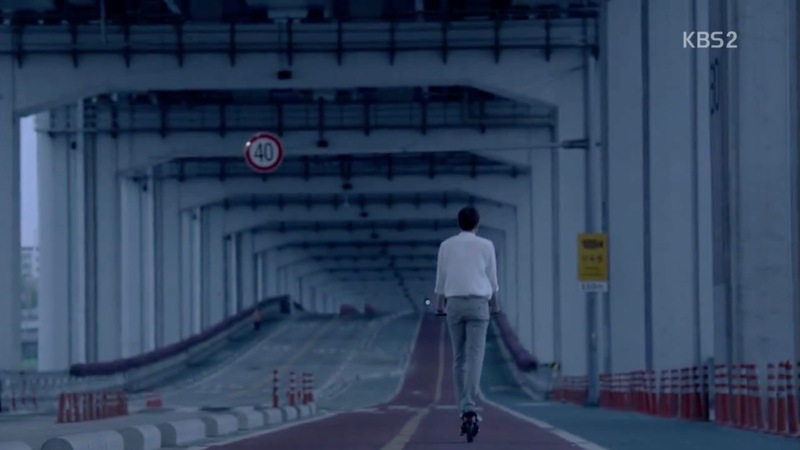 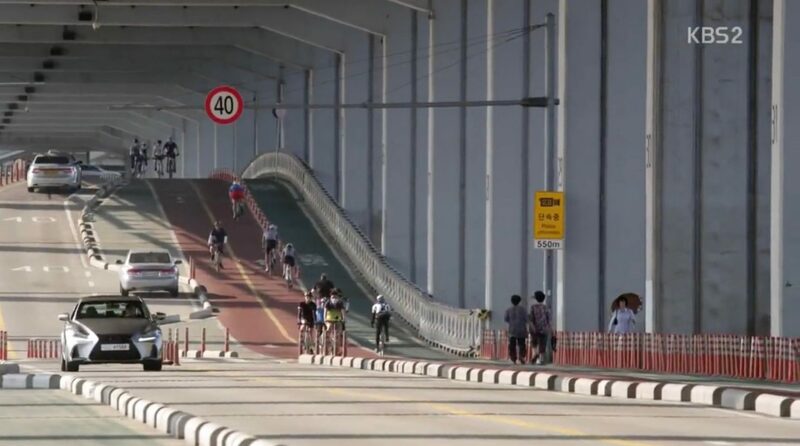 Most of the K-Drama scenes are however filmed on the lower half of a double-deck bridge, called Jamsu Bridge [잠수교]. 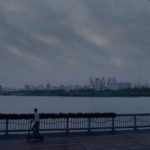 The filming location for tvN I Need Romance 2 (로맨스가 필요해 2) (2012) lies in Banpo Hangang Park [반포한강시민공원] (Geolocation: 37.512545, 126.998854). 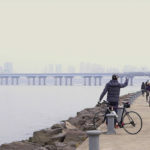 It certainly carries its name as its Southern feet are set on the grounds of Seoul’s neighborhood of Banpo-dong [반포동] in Seocho-gu [서초구].